Xiaomi Mi DGNWG02LM Smart WiFi Remote Control Multi-functional Gateway new firmware upgrade to version 1.4.1_146.0141. 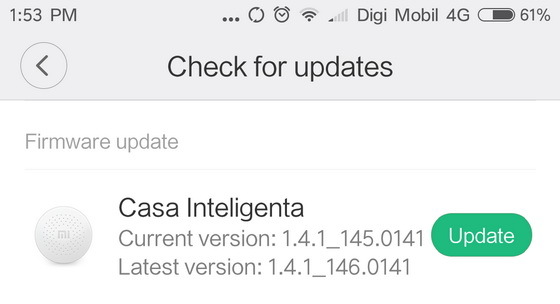 First download latest Download Xiaomi Mi Home Android Application v4.1.25 from here. Xiaomi Mi DGNWG02LM new firmware version: 1.4.1_146.0141. Xiaomi Mi DGNWG02LM previous firmware version: 1.4.1_145.0141.